Americans are obsessed with pizzas. We grew up craving for them, that’s for sure. There are the Neapolitan pies cooked in wood-fuelled oven, tavern-style pizzas, gourmet pizzas with the most unique toppings – just to name a few. 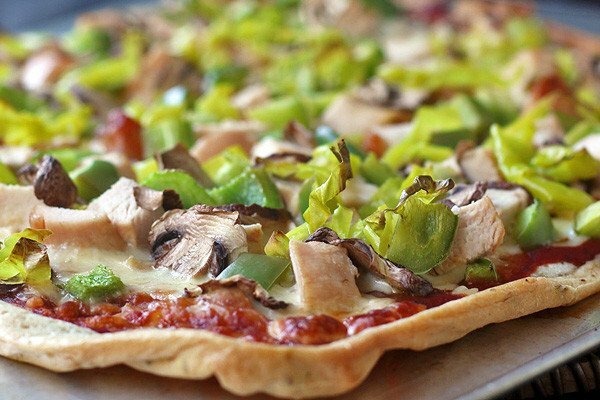 Wherever you may be in the US, you are sure to satisfy your hunger for these oven-baked goodies as you can find pizza restaurants everywhere that serve every kind of pizza imaginable. Here are 10 of the best pizza restaurants in America, one or many of which surely has a store in your neighbourhood. Pizaro’s got its inspiration from Italy’s Neapolitan version. But what makes the restaurant special is that its pizzas are created by Bill Hutchinson, a licensed Neapolitan pizzaiuolo. In other words, he is a certified Pizza Napoletana pizza maker, with the restaurant granted by the Italian government the Denominazione di Origine Controllata, or style-of-pizza status to ensure that the restaurant follows the guidelines of how the Neapolitan pizza should be made. Recognized by many as the “country’s first pizza,” Papa’s Tomato Pie is the oldest operating family-owned pizza restaurant. Nick Azzaro, the owner, is proud to say that his business is consistently included in the country’s various best pizzeria lists year after year. Its recipes are the Azzaro family’s secret, for obvious reasons. Likewise, they can cook customized pizzas, upon the request of a guest. To experience the taste of one of Papa’s original recipes, you must order mustard pie, which is the most heavenly pizza around. Spacca Napoli is popular in Chicago for its own unique Neapolitan-style pizza, and also for the many awards that it has received such as the 2012 Michelin Bib Gourmand Award. The restaurant is praised for its authentic take of the pizza, which the owner ensures by visiting Naples regularly and bringing home its distinct pizza flavors. Some standard offerings include pizze rosse (created with red sauce, tomatoes, and olive oil) and pizze bianche (sans red sauce and only has olive oil for toppings). The grilled pizza by husband-and-wife team George Germon and Johanne Killeen, owners of Al Forno in Rhode Island, is such a delight that the restaurant received the Insegna del Ristorante Italiano title from the Italian Government itself. It was an honor attributed to its innovativeness in cooking pizza and pasta fares. One of Al Forno’s most popular items is the grilled pizza margarita, which is made from pomodoro, fresh herbs, cheeses, and olive oil. Some of the traditional pizza flavors are mixed into modern ones that allow Anthony’s Coal Fired Pizza to come up with the most urban-tasting pizzas. In order to achieve its pizzas’ “well done flavor” and perfectly crisp crusts, the pies are baked at 800 degrees in a coal oven. The result is always everyone’s favorite pizza delight – whether he is in New York, New Jersey, Pennsylvania, or South Florida, where the very first Anthony’s was located. The pizzeria was a brainchild of chef and baker Nancy Silverton who wanted to offer a truly innovative and creative pizza fare in the city. Many in Los Angeles love the restaurant for its authentic Italian specialties, such as the bruschetta and antipasti. However, Pizzeria’s main star is the Neapolitan-style pizza, which is a hit because of its uber-delicious taste. Prices are reasonable, ranging from $11 for the classic cheese pizza, aglio e olio, to $24 for an order of pizza made of tomato, squash blossoms, and burrata cheese. DeLorenzo’s is one of the oldest serving pizzerias in Trenton, New Jersey, having been in business for 65 years. Customers can order pizzas of their liking; all they have to do is opt for their own selection from the restaurant’s variety of fresh and delicious toppings like spinach, anchovies, sausages, artichokes, and pepperoni. DeLorenzo’s offers a specialty with clam and tomato sauce for its main toppings. Many swear to the deliciousness of this pie. Nominated in 2008 by the James Beard Foundation for the best new restaurant, and its chef awarded as the 2010 winner for being the best in mid-Atlantic, Osteria is resting on its laurels, and is mighty proud of it. The restaurant offers traditional pizzas, although some are given a gourmet twist. For instance, some are made of octopus, mozzarella, and red chile flakes. It offers lombarda, made of baked egg, mozzarella, bitto cheese, and cotechino sausage. Osteria boasts of having over a hundred authentic Italian wines to offer its guests. Ever since it opened in North Boston, Regina Pizzeria has become a hot spot where people in the vicinity go to satisfy their cravings for delectable pizza. Today, the restaurant is proud to maintain twenty locations, every single one of which is a hit among the locals. Regina Pizzeria offers 20 different pizzas – both traditional and unique. A popular one is the St. Anthony’s pizza complete with sausage links, Regina sausages, peppers, and garlic sauce. Standing in the midst of Chelsea neighbourhood of Manhattan, Co. first served in 2009, the year when competition within the pizza industry in New York was at its fiercest. These days, competition is still stiff, but Co. is able to weather all this and even made a mark in the market as one of the city’s most endearing pizza restaurants. Both traditional and customized versions are available, with mushroom and jalapeño pizza as a perennial hit, as well as ham and cheese with pecorino.